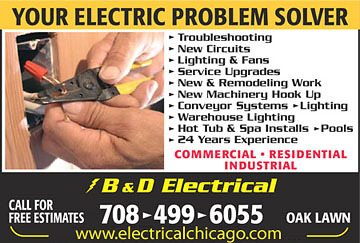 B & D Electrical has been serving commercial, residential and industrial customers since 1995. We provide prompt service for all projects. Our technicians are experts in the industry and will help you with any request you might have. We welcome any project, large or small. So call B & D Electrical today and let us help you with your project - large or small!